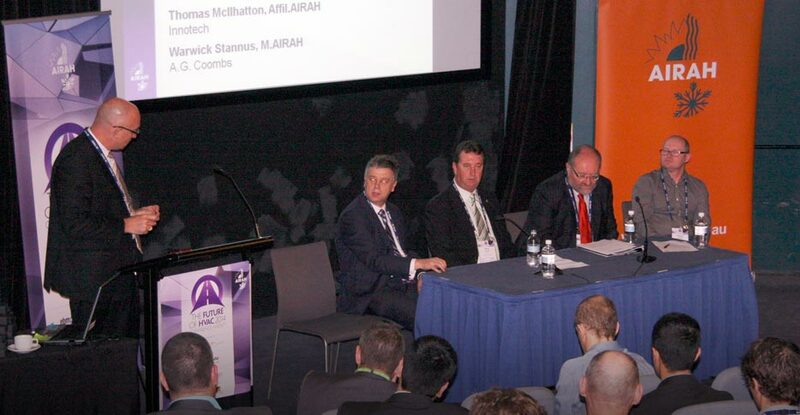 Earlier this month I was fortunate to attend the AIRAH Research Summit and Future of HVAC Conference in Sydney, Australia. These two events were rolled into 3 consecutive days, with outcomes from the summit presented during the conference for all attendees to hear. How can industry establish and maintain a strong culture of research and development and higher education training in HVAC&R? The Research Summit objective was to bring together key HVAC&R research institutes and students, along with a diverse field of industry representatives from manufacturers, HVAC&R companies and government. 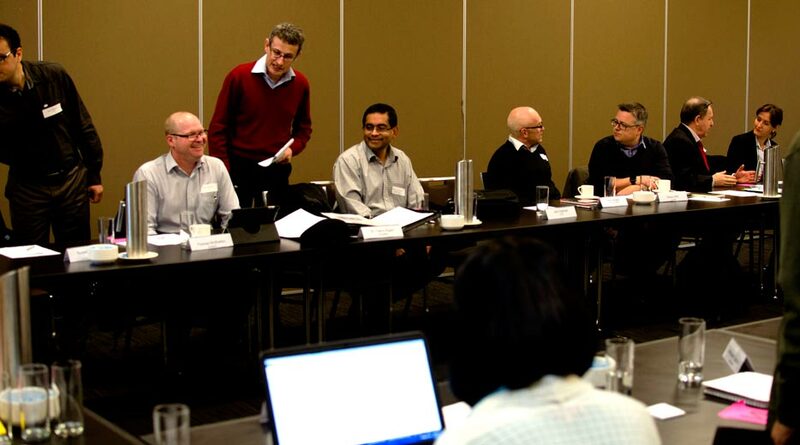 The discussions and networking gave insight into the issues faced by researchers, from funding, access to equipment, right through to understanding commercial implementation, viability and the need for industry involvement. From an industry perspective the summit highlighted the need for industry to be more involved at ground level with HVAC&R research, and not be confined to our own fields of expertise, but to look at the broader picture. 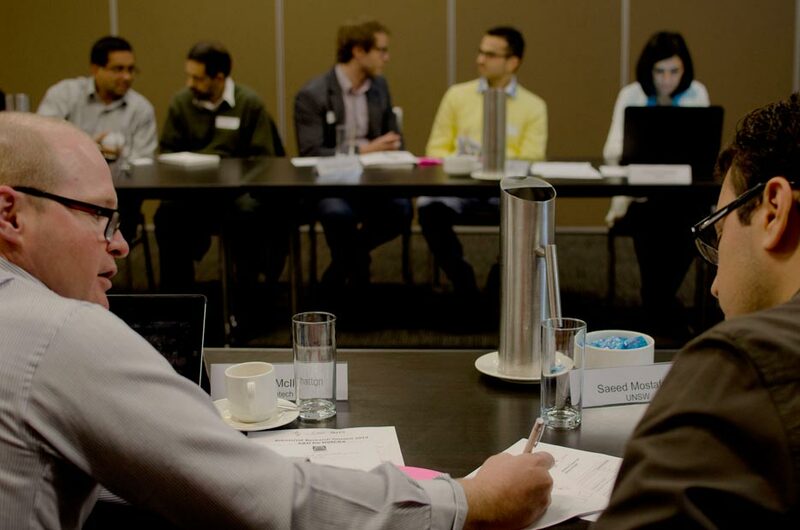 There are extreme benefits for both researchers and industry to collaborate more cohesively, and AIRAH have expressed an interest to become the facilitator to help achieve this more collaborative approach, which will further strengthen the Australia HVAC&R innovation on the global stage. Photo credits: Simona Galimberti, Institute for Sustainable Futures (ISF). The Future of HVAC 2014 Conference was a 2 day event where researchers, industry and government presented their technologies, issues and objectives, with an opportunity for the attendees to ask questions and be involved. The quality of the presenters and attendees was exceptional, and the discussions flowed throughout the breaks and into the evening. There is definitely a lot of passion, innovation and global expertise within our industry, and to bring these people & companies together showcased an exceptional level of Australian ingenuity. Watch an overview of the Future of HVAC 2014 Conference on YouTube. Innotech were part of the Future of Manufacturing Panel Session, where we were asked a series of probing questions developed by the conference committee, and then various other questions by the attendees directly. Many thanks also to Graham Brown from Actron Air who facilitated the panel session. Afterwards, I was approached by a number of attendees who commented that they expected the panel session would be “a bit of a downer” due to the current economic climate and demise of so many Australian manufacturers, but were pleasantly surprised that there was an "air of confidence" from all the panellists. We had an opportunity to explain why were able to not just survive, but flourish, and I believe there was definitely a commonality in reasoning. 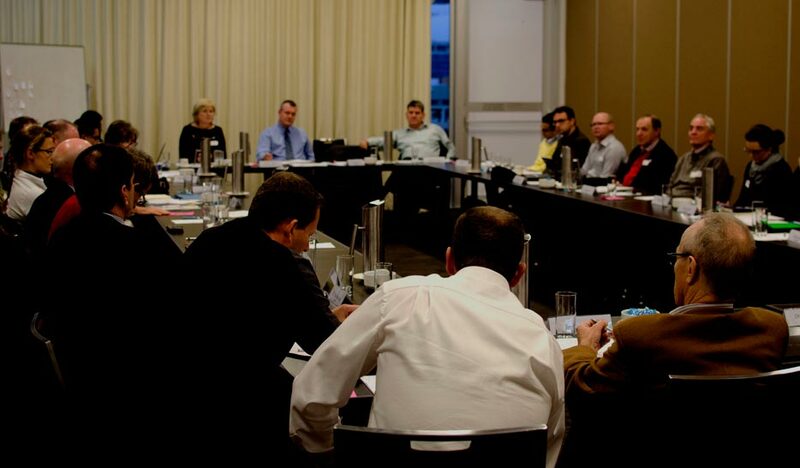 So what did the panellists agree were keys to success for Australian manufacturing? A major commonality was also that Australian manufacturers are able (and willing) to make products that meet the needs of Australians, where on the global stage Australian needs are largely ignored. This ability ensures the products developed meet local needs, as well as incorporating global market requirements. Overall I believe these two events were highly successful. I believe there is truly a need for industry and research to work closer together, and use the skills of those around us. It was very clear that the segregation between the research and industry causes duplication of research and wastes a lot of time, money and resources, and there are definitely a large number of skilled personnel who are passionate at making Australia a global HVAC&R leader. We truly appreciate the efforts of those who made these events possible, as well as the involvement from all that attended. A big thanks to AIRAH and all the event sponsors. I would highly recommend others becoming involved in this event…..or risk being left behind!! Follow ARIAH on Twitter for all the latest news. What Do Kangaroos, Koalas and Innotech Have in Common?